Step 1 - In your admin panel, click ‘Add New’ from the Plugin section in the left menu. 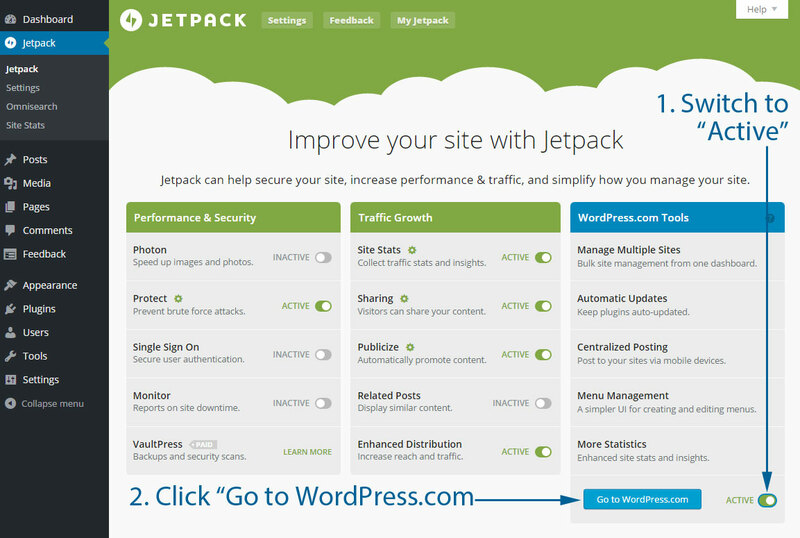 Search for the ‘Jetpack by WordPress.com’ plugin and click the ‘Install now’ button. 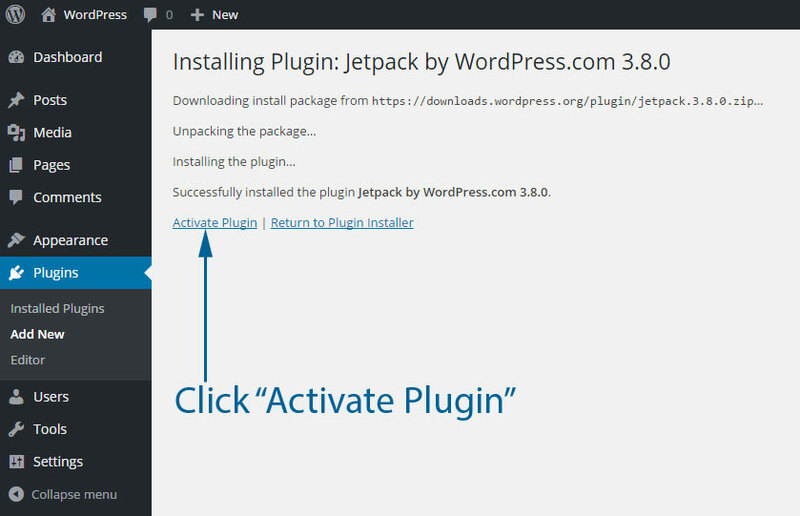 Step 2 - After installing the plugin succeeded, you’ll see a blue ‘Activate Plugin’ link. Click that link to activate the plugin. 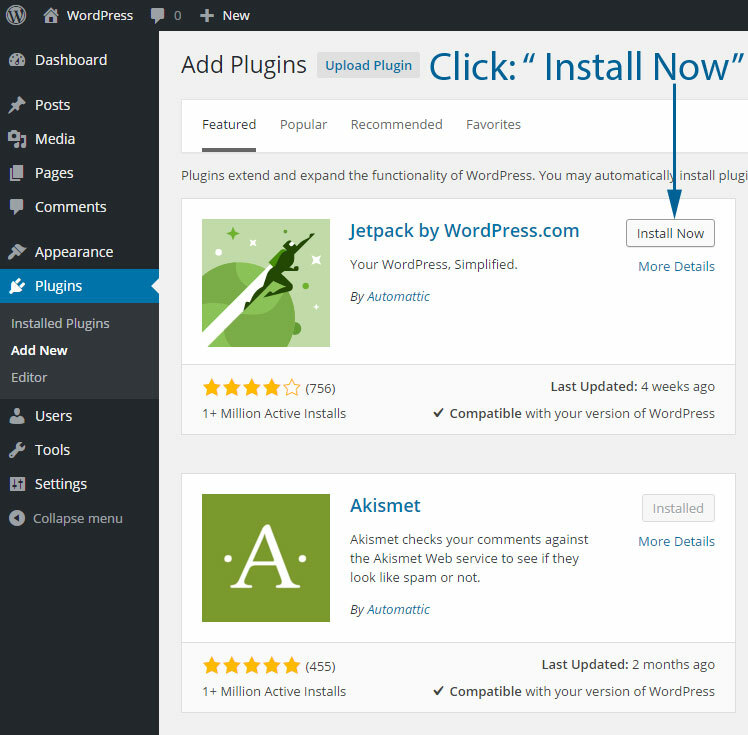 Step 3 - After activating the plugin, you’ll be taken to the page where all plugins are listed. On that page, you’ll see a big green block with a dark-green ‘Connect to WordPress.com’ button. 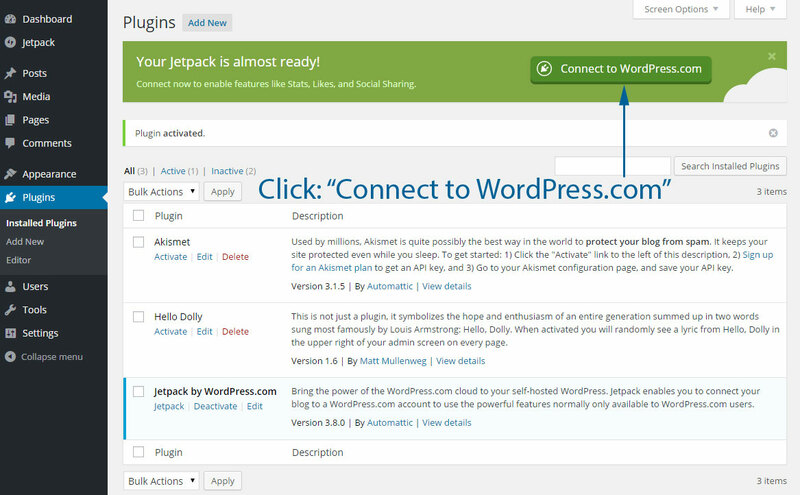 Click that button and login to your WordPress account (or create a new account). Step 4 - After you’ve logged in, the Jetpack plugin asks you if you want to Jump Start your site. If you click the blue ‘Jump Start’ button, some default featured will be turned on. One of these features is the ‘manage’ feature. 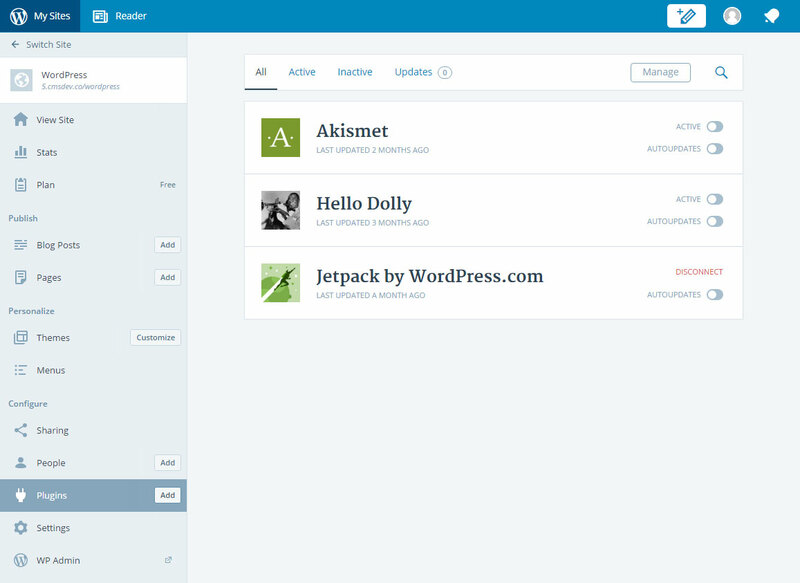 This is the feature you need to be able to manage your WordPress website via the new Calypso interface. 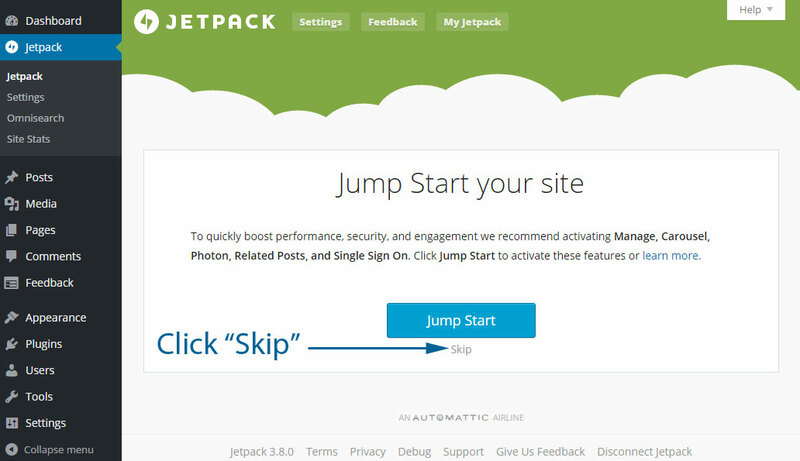 Step 5 - Assuming you don’t want to automatically activate all default features, click ‘Skip’ and you’ll be taken to a page where you can activate the features that you want. Step 6 - After selecting the features that you want, check the bottom right checkbox next to the blue ‘Activate features’ button. Step 7 - After you’ve clicked the check besides the blue ‘Activate features’ button, you’ll notice that the button text changes into ‘Go to WordPress.com’. Click the blue ‘Go to WordPress.com’ button and a new tab will open. You’ll be taken to WordPress.com. Now you are able to manage your self-hosted WordPress.org blog via the WordPress Calypso interface, from within your browser or using the desktop application.